How much more can one man take? INK Blue resumes our story of Edsel, Lash and Aiden approximately 5 years after the close of INK Black. After the disastrous encounter at the amusement park, the trio has sought asylum and peace on an island off the English coast. While Edsel and Lash seem to be content with their solitary exile, Aiden is growing restless at having no other human interaction, and no real way to find an eventual mate. The trio decides to make a short trip back to the mainland to assess the current state of the world and try to fulfill Aiden’s request. Once on the Mainland they meet Michael, an eccentric older Awoken gentleman who becomes fast friends with Aiden. The trio’s brief ‘vacation’ takes a bizarre turn as yet again, Edsel finds himself the recipient of a bizarre Inking at the hands of Michael and a chase ensues to rescue Aiden and Lash from the clutches of their once benevolent friend. I must say that I have mixed feelings about this book. The series as a whole was great and there is a definite conclusion to the story, but I didn’t feel that there was really any resolution for Edsel. This poor guy has gone through so much, I just felt that there should have been something better for him than how this story ends. 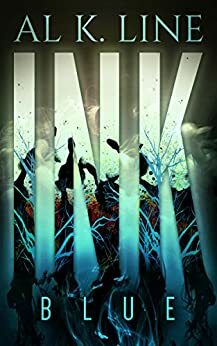 I know that some people will love the way this series ended but I personally am holding out hope for an INK sequel of sorts that follows the remaining characters down their continued paths. That really is the great thing about the state of the world that Al has created with the Lethargy, Eventuals, Whole, Awoken, etc. This entire concept is a goldmine for great stories… and we have already seen three series based off of this world. Maybe in the future we can catch up with Edsel and the gang again to see where life ultimately takes them.